Most people look at this from the benefit view. If the SEC agrees they are not securities, it could do so many good things. What if the opposite happens? The letter [saying that BTS is a security] could cause the opposite effect and hurt your investments. That's probably why people aren't insta-voting this in. We need more discussion I guess. How can a SEC saying "BTS is not a security and we won't screw them up" have a negative impact? I understand that concern, but driving decisions through fears will not get us further. Of course, a negative statement would have atomic impact, but the legal council that was chosen has experience and necessary contacts there. 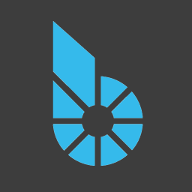 At some point regulators will come looking again, the more BitShares grows the more likely. Bittrex is just the first who needs a legal opinion. What's the alternative? Just waiting and hoping no one will notice BitShares? I would say this worker is a much needed pro-active action! He means if the SEC says that BTS is a security. It's like walking up to a lion's den, and asking the lion "I'd kind of like to ask you whether or not I'm the type of thing you are interested in eating"
Why pester the lion when he has the whole jungle to take care of, which is keeping him busy already. Did you want to be the next thing he pounces on? Some people might say "What if the lion isn't interested in eating you? Isn't that good?" Some people might say "If they lion says yes, and starts chasing us, we can run away or find ways to defend ourself"... That's fine to try that but if you're unlucky you'll probably wonder why you went and spoke to a lion in the first place. I think the proposal should be changed. 3. Legal Advice is sought, and the details are kept among the Bitshares foundation members. They could be the ones to decide what to do with that information. "Client-lawyer" privilege is where clients may discuss things with their lawyers and their legal strategies privately. You can't do that in a decentralized environment without revealing your legal poker hand. Which is a guaranteed losing situation for the client, if you openly disseminate where you lack ground to everyone, and anyone, including your adversary. Now, I think specific tokens would be more apt to be securities than the platform itself. But if you were to squeeze government agencies, it's too easy for them to publish a response letter and say "yes, we believe BTS is a type of security".... (even if they don't have to prove anything in court). They could cherry pick answers from "this case" and that "case" that may scare you and the public. (Even after you got your day in court many months later). By this time though, it's too late. You've already created a domino effect of FUD by arguing with the SEC in the first place. So, no, I won't insta-vote this legal proposal as it is written in... I wish I could, but I cannot support it. Appears the SEC letter is the issue here. [member=120]xeroc[/member] what about splitting apart the worker and going for the legal opinion letter now and hashing out the SEC letter later on? thanks to a certain fraudulent operation, BitShares was mentioned several times already in official SEC documents. it's no longer a matter of whether they have bts on their radar, but when they decide to take a closer look in it. pro-activity is needed ASAP in my opinion. edit: they seized funds and have a wallet on BitShares by the way. I think you'd be better to say "allegedly fraudulent". No one knows 100% before the case is heard in court. Secondly, as far as having a wallet or already on the radar is fine. The problem is they can't file suit against computer code. Yes, legal advice is still necessary, as long as it is managed by a team, maybe the foundation, the committee away from the forums (like a task force setup for this purpose) and in private. The worker proposal has the right idea. Just fine tune it a little better considering what was discussed in this thread is all we have to do. If they're on a witch hunt, first they'll try to roast the first witch they see. Which is this "allegedly fraudulent" organization apparently. That could take 1-2 years before a final judgment is determined and appeals have been filed. So as long as this is done right, and carefully, adjusting the proposal slightly to take these important discussions into account, I have no doubt it will pass as a worker. I am not willing to discuss any "business" in here that is not about the SEC. As for the "issue" with "approaching the lion" ... we are actually approaching the *LAWYERS* here and they assist us with a letter to approach the SEC. If we cannot convince the lawyers, we don't need to bother with the SEC. If we manage to write down a letter that is concise and accurate, the idea is to gauge probability of success before sending it in. There will not be a letter sent to the SEC unless the lawyers and the BBF see very high chance of success. Glad to see this got voted in, please keep us updated on the milestones! @xeroc Do you think HERO and Hertz algorithm based assets would be treated any differently than traditional smartcoins such as bitUSD/bitCNY? I've read a number of these press releases by the Foundation, and the English language usage is so poor that it is almost impossible to understand what is being said. It makes the Foundation look very unprofessional. I'm not sure if it has always been the same author, but I've read three or four of these releases and each time my reading comprehension suffers greatly because of the poor command of the English language used by the author. Please invest in a native English speaker to write the press releases! 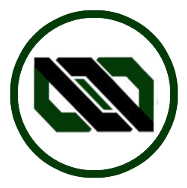 With this worker, we (the bitshares blockchain foundation) would like to fund this project to seek legal clarity and presentation for BTS holders and regulators. we also seek a non-action letter by the United States Securities and Exchange Commission (SEC), the prototype for many regulators in the world. This should be two separate workers.